Much has been written already about the outcome of the Scottish Parliament elections on Thursday. We have an SNP Government which has been re-elected for a third term, a Conservative Party at it’s highest ebb in a Scottish Parliament election and a Labour Party that has been pushed into a poor third place. The Lib Dem seat numbers have been static, whilst they have slipped to being the fifth party in Scottish politics, behind the Greens, who have made gains but not as many as they had perhaps hoped for and anticipated. Winning the Cowdenbeath seat was always going to be a huge task for the SNP, with the popular and local Alex Rowley standing in their way. Alex Rowley, as Deputy Leader of the Labour Party in Scotland has seen significant campaigning resources poured into this seat and it will be a painful loss for Labour, in what was once considered a heartland seat. This is another seat which has gone from being a Labour heartland seat to prime SNP-voting territory since the referendum. There can be no doubt that the disillusionment felt with Labour manifested at the Westminster election last year and saw Douglas Chapman of the SNP elected to Westminster. This Scottish parliament election was essentially a re-run and saw Shirley-Anne Somerville take a comfortable victory over Cara Hilton of Labour. Holding Kirkcaldy is a fantastic achievement for the SNP’s David Torrance. This is Gordon Brown territory and was therefore a considerable SNP scalp when it was first won in the landslide of 2011. To go from a majority of 182 in 2011 to one of over 8,000 five years later is testament to the hard work put in locally by SNP MSP David Torrance in that time. David is widely acknowledged as being one of the hardest working constituency MSPs in Holyrood. Mid Fife and Glenrothes was a bit of a wildcard seat and it was difficult to know how it would turn out. 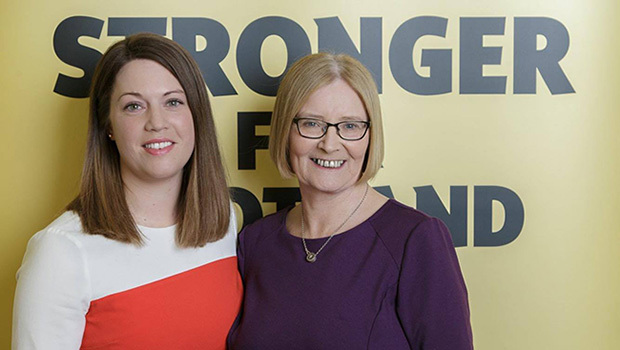 The SNP had selected Jenny Gilruth, a first-time candidate with a background in education and her main opponent was Kay Morrison, the Labour Deputy Provost of Fife. This seat was formerly held by Tricia Marwick, who stood aside from Party politics to become the Presiding Officer of the Scottish Parliament. The combination of a very hard-working candidate, coupled with a national swing have seen Jenny Gilruth more than doubling Tricia Marwick’s previous majority. North East Fife has been a key battleground seat between the Liberal Democrats and the SNP in recent years, with Stephen Gethins winning the seat for the SNP at Westminster. Roderick Campbell was always going to have his hands full this time, with the national profile of Willie Rennie lending him an edge. The campaign was keenly fought but ultimately hinged on a collapse in the Conservative vote, which transferred to the Liberal Democrats.